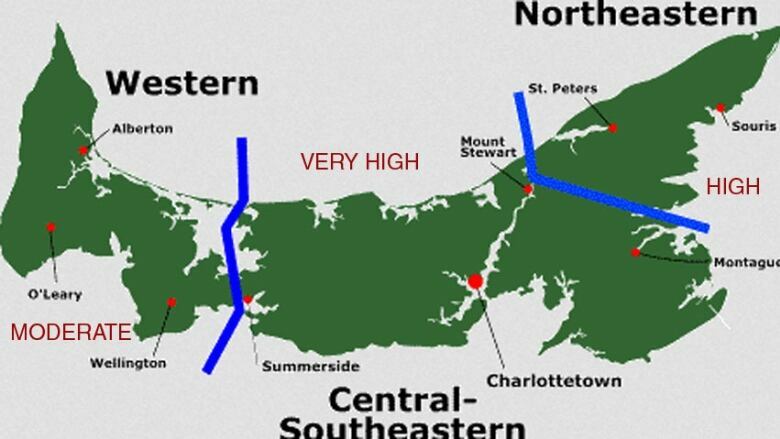 Forest fire threat rising on P.E.I. 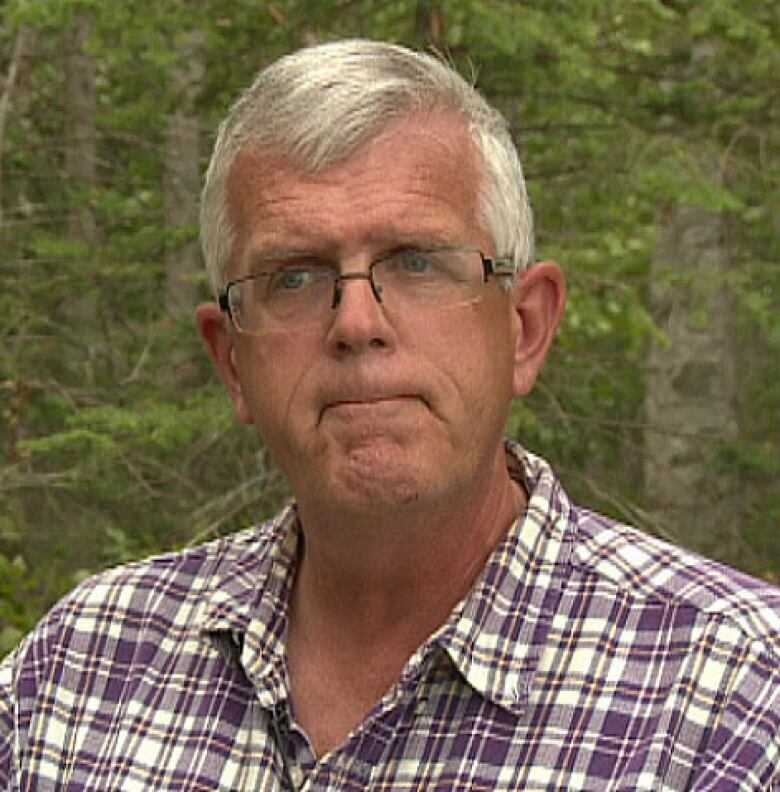 The threat of forest fires on P.E.I. is unusually high as the province approaches the end of a dry, hot July. The government increased the fire index to very high in the central part of the Island on Tuesday. It is high in the east, and moderate in the west. Burning permits have been cancelled. "Really been almost drought conditions now for the last three to four weeks since the warmer weather got here," said Ken Mayhew of the Department of Forestry. The rainfall recorded at Charlottetown Airport in July has been less than half of its normal level, and temperatures have been more than two degrees above normal. In addition, post-tropical storm Arthur knocked branches and leaves to the ground, creating more fuel for a potential forest fire. "Do not burn outdoors at all in these conditions," said Ken Mayhew. "If it has to be, it should be in a confined pit somewhere like a fire pit or in a barbeque, a gas barbeque those type of things are usually fairly safe. And have a bucket on hand and some water." Camper Ali Moy has been extra careful with the fire pit at her site in light of the dry conditions. "We just don't put a whole lot of wood on it at once. I mean, the idea of roasting a marshmallow is that the embers are quite low," she said. "We also keep water nearby just in case." There is no rain currently in the forecast that would be enough to bring the forest fire index down. "We would probably need two or three days of good, soaking rain right now to bring it down in a serious way, and all we've had is showers recently," he said. The only rain currently in the forecast for the province is possible showers on Monday.